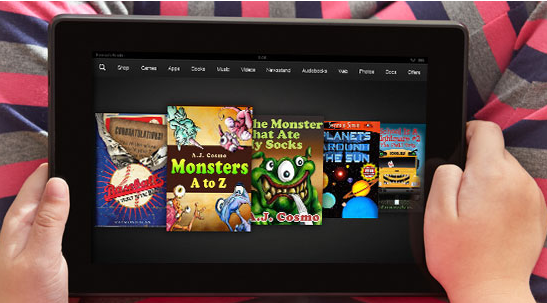 Children’s book authors are now going to have an easier time publishing their work to Amazon. Amazon has announced KDP Kids, which is designed to help authors publish and promote both illustrated and chapter books in Kindle Stores. Authors earn royalties of up to 70%. Authors want to focus on telling great stories and we want to help them do that. No one should have to be a computer programmer to create a beautiful, illustrated Kindle book for kids … Kindle Kids’ Book Creator makes it easy. In addition to helping authors craft their books, we’re helping customers find them with things like age and grade range filters. said Russ Grandinetti, Senior Vice President, Kindle. Kindle Kids’ Book Creator enables you to import illustrations, add pop-ups, and preview your kids books. You can use Age and Grade tools to reach the right kind of audience. You can download this latest tool today for free.